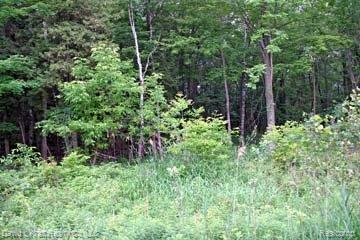 WOODED ACREAGE: Great spot to build your new home or vacation getaway. Only 1/4 mile to Scenic Golf and Country Club, 1 mile to Filion Rd. boat launch for fishing on Wildfowl Bay and only 4 miles to Caseville. Excellent school districts: Caseville & Lakers. Trails for hiking, cross country skiing and riding. Trails maintained by Sand Ridge Stables. See Deed restrictions. Land Contract terms available: 10% down payment, 6% interest, for 7 year, $314.23 per month or 15% down payment, 5% interest, for 7 years, $287.13 per month.